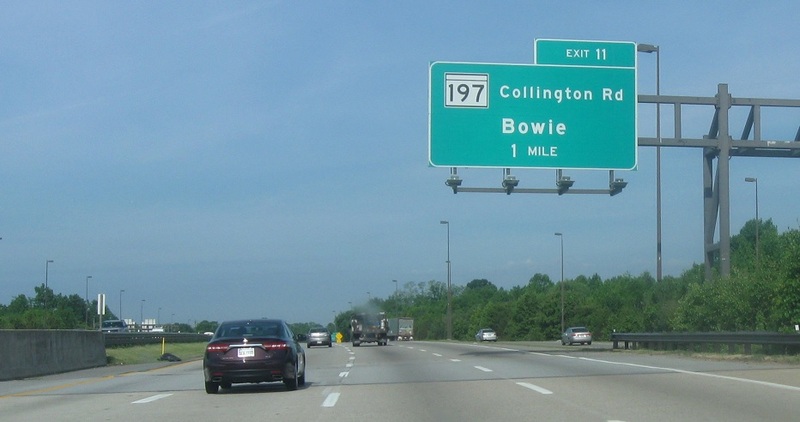 Just after the 301 split we’ll enter Bowie and approach MD 197. 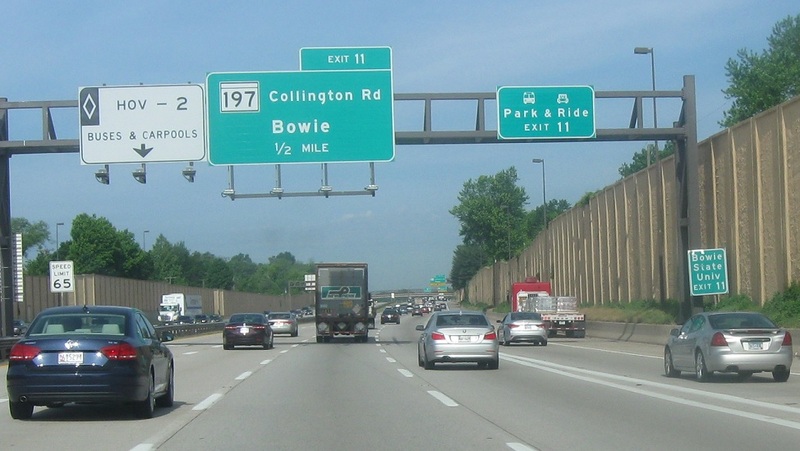 1/2 mile to MD 197. 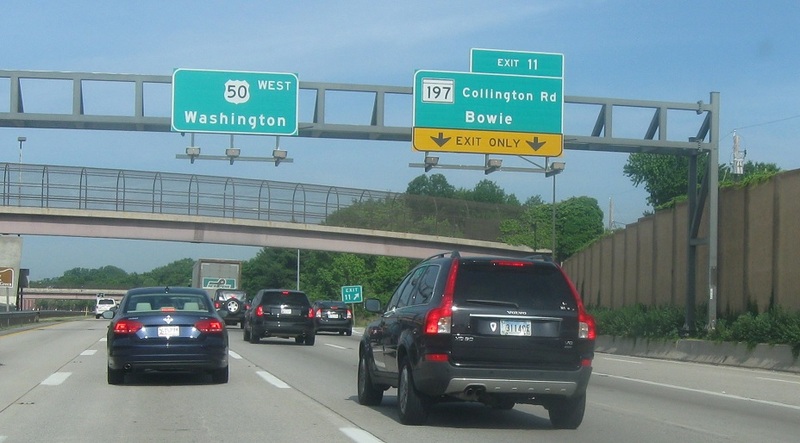 Exit ahead for Maryland 197. 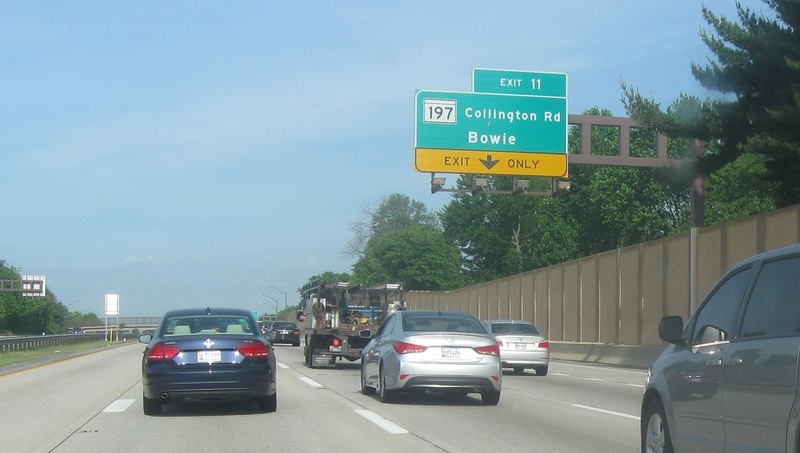 Exit for MD 197/Collington Rd.